How cute is this pink skirt? I got it for £7 in the sale a week or so ago and now guys it is £3 online AND there is currently 25% off everything on New Look so you can get the skirt for £2.25 - mental! The skirt is perfect for this tee, I feel like they may have been made for each other. I do however feel a little odd if everything is too matchy matchy so I had to mix things up a little with my orange earrings and green socks. 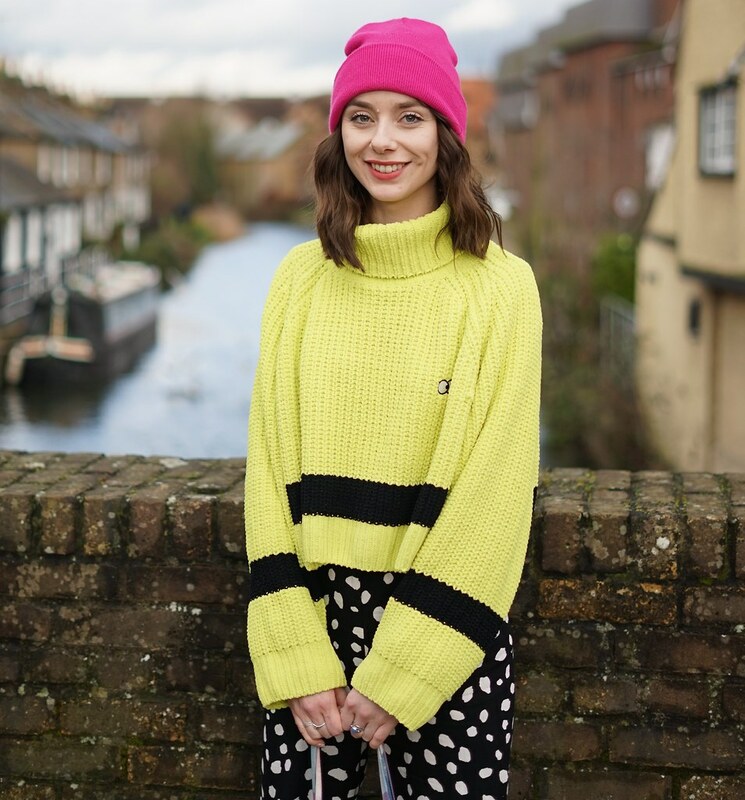 I think this colour combo isn't too in your face, accessories are a great way to add more colour into your wardrobe if you are looking to brighten up your outfits. I had a lovely time taking these photographs, I took my tripod down to this little path near my house. The sun was shining and I spent about half an hour taking photos before going for a walk in the beautiful weather. Click the skirt to get it for £3!